And the family, all seated, had just grabbed their forks. Roast chicken and latkes for 20 at least. Made every mouth water, including the mouse. “She does have a point,” Dad begrudgingly grumbled. “But let’s make this quick,” to the front room he mumbled. In the hopes that we’d sooner get back to our meal. And watched as the Shamas flame flickered and trembled. A thunderous sound seemed to come from the sky. Threw on the porch lights and heard the loud crash. And a warm silver scarf wrapped snug round his throat. embroidered in Hebrew with fine silver thread. Hitched up to his sled were eight camels – on skis?! Pulled the reins, and he called to each Magical beast. 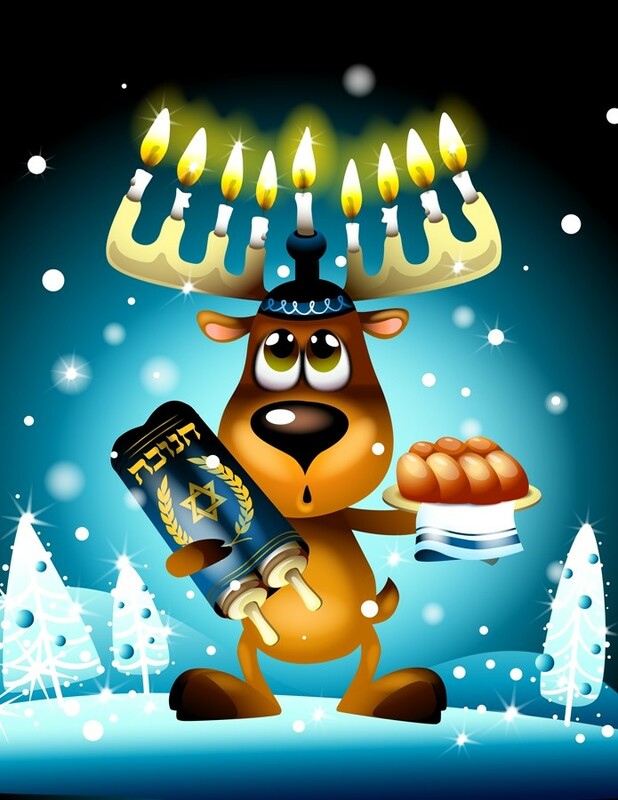 but I knew it at once: This was Hanukkah Harry! But the gifts in his bag were a little bit smaller. to delight and remind us of miracle lights. Only pausing to snack on the chocolates himself. All waiting there, neatly aligned in a row. Programmed the SATNAV, not skipping a beat. And I’m sure the man heard him, I swear that he winked. And our candles they glowed a bit longer that night. Hi Wendy, what a great poem. Happy channukkah and merry Xmas to you too. Hi Wendy, what a lovely poem! It was great to see you at the weekend. You looked fab!